Just because you are on a specialized diet, does not mean you can't get into the holiday baking spirit. These paleo caramel apple ginigersnap cookies are a delicious treat that everyone can enjoy. The cookie dough is formed using a combination of coconut flour and almond meal that is sweetened with molasses and coconut sugar. Freshly ground cinnamon and ginger add pizzaz with the dried apples contribute another layer of texture. 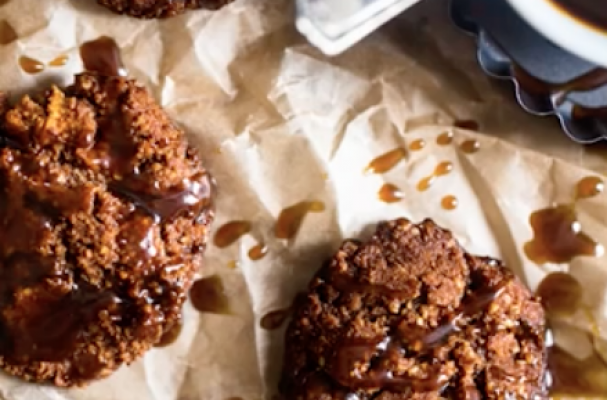 The caramel sauce is the finishing touch that brings this whole cookie together.